The world’s oldest known complete song sounds like it could have been performed by Neil Young. 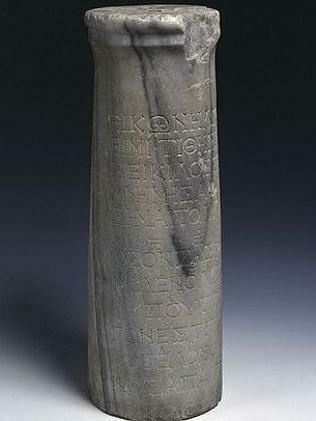 The piece of music was a Grecian ode written by a man called Seikilos between the 2nd century BC and the 1st century AD, according to news.com.au. Intended to make a woman named Euterpe immortal, it was carved on a column of marble. The song contains “live for the day” lyrics, carrying a message that has echoed through music to this very day. One version of the song, including the lyrics – sounds like something that could be written by Neil Young. A Turkish railroad engineer uncovered the column in 1883. It is now housed in the National Museum of Denmark. Listen for yourself and see if it sounds like Neil. Maybe a little more barn?